100% Polyester 2" black clip-on bowtie. Also available with adjustable band. 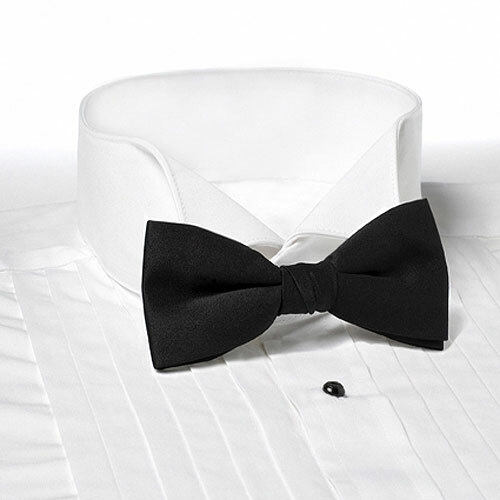 Polyester clip-on bow tie. In stock and ready to ship. 12 piece minimum. Quantity discounts available. Individually poly bagged.